Qiansuocheng Ancient City was named Jishuihe Fort or Zhongqiansuo city in ancient times, and changed to Qiansuocheng Ancient City in 1931. In its west urban area, there is the Qiangliuhe River. It is very clear and circles the whole city serpentine. The old city was built on the third year of Xuande's reign in the Ming Dynasty (AD 1428), was the military fort at that time, and had the name of "Qian Hu Suo" in Chinese. The city has a square shape, with the length of 510 meters from east to west, 502 meters from south to north, and the wall height of 10 meters. There are three city gates, which are the east city gate, the south city gate and the west city gate. The Zhenwu Temple upper the city was destroyed at war. At present, only the west city gate is preserved well. 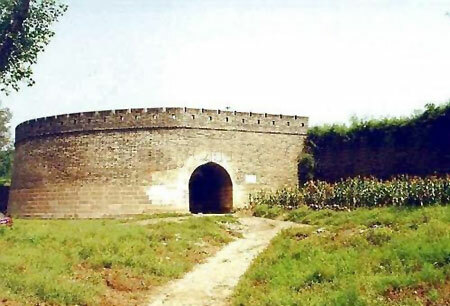 Qiansuocheng Ancient City is the first fort outside Shanhaiguan, therefore, has a very key military position. The Ming government quartered armies at Qiansuocheng city to fight with the Qing Dynasty.